At Milestone, we know IT, and we’re consistently driving innovation in infrastructure operations to improve the overall customer experience. 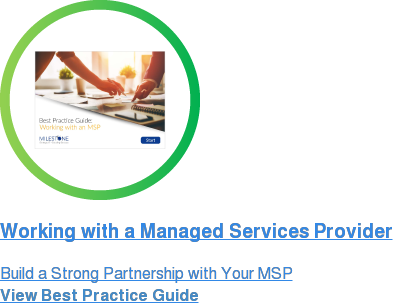 As a Managed Services Provider (MSP), we use technology intelligently to make IT infrastructures smarter, streamlined, and ultimately, more successful. Our seasoned professionals deliver services based on Milestone’s best practices and service delivery framework. 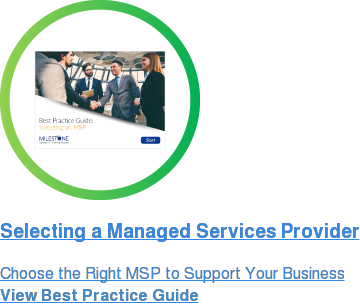 By leveraging our vast knowledge base to execute initiatives, we deliver both short-term and long-term value to your company and apply continuous service improvement to deliver transformational benefits to IT. 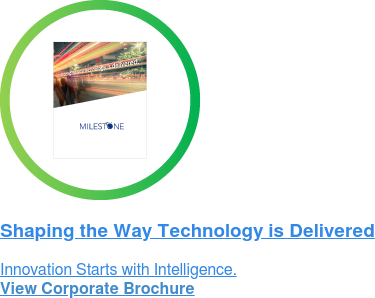 With Intelligent Automation, Milestone helps businesses further accelerate their IT transformation. The result is a sharper focus on business objectives and a dramatic improvement in employee productivity. Through our key technology partnerships and our people-first approach, Milestone continues to deliver industry-leading innovation to our clients. Since our inception in 1997, our clients have benefited from more efficient operations and a renewed focus on employee development and business innovation. When founder, Prem Chand, started Milestone Technologies, Inc. he aimed to solve the growing problem of IT Relocation for Silicon Valley businesses. Today, with more than 2,000 employees serving a substantial client base of over 200 companies worldwide, we are following our mission of revolutionizing the way IT is deployed around the globe.